Today I had the privilege and duty to lay to rest two stellar saints from the First Baptist Church Frankfort family. We’ve never had two funerals on the same day in the 179 year history of our congregation and this was a first for me as well as a pastor. 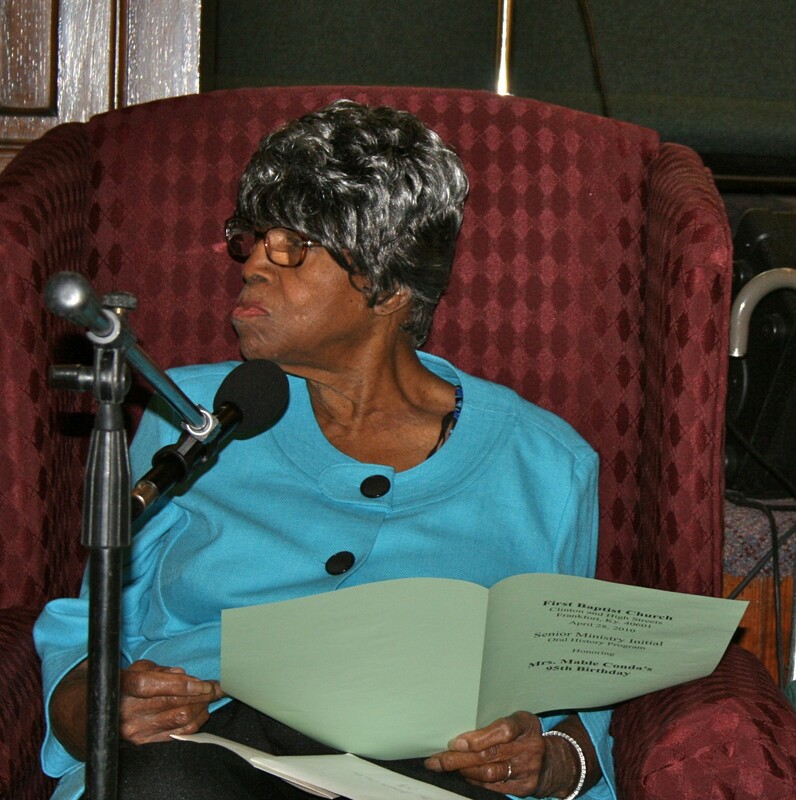 This morning at 10:00 a.m. were the services for Sister Mabel Hutchinson Conda, affectionately called “Miss Mabel.” She was 97 years old and a member of our church for over 80 years. I met Miss Mabel when I was candidating at the church for pastor in 2004 and she was very supportive of her pastor. Matter of fact I still remember that she was one of the first people I engaged in conversation with at the reception for me following worship. Miss Mabel was brought to church every Sunday when able and if she was able, she followed her pastor to preaching venues in the area. She never forgot my birthday, never forgot me at Christmas, never forgot me during my Pastor’s Anniversaries. She (and her extended family) have embraced me and Jessica so warmly since our arrival. She’s been a jewel. For her service, I preached “The Gospel According to Miss Mabel” from Jesus’ interrogation of the disciples in Matthew 16. I opened up by discussing the rarity of someone living to be 97 and that she was a seasoned believer, which I greatly admired. My outline: (1) If Mabel Hutchinson Conda could speak for herself she would tell you who the Lord is; (2) If Mabel Hutchinson Conda could speak for herself she would tell you that she and the Lord had a relationship; (3) If Mabel Hutchinson Conda could speak for herself she would tell you that I’m all right now. If was a great celebration at the conclusion of the sermon – Mabel deserved that and then some. She was buried along with many of those who she had known through the years at Greenhill Cemetery. 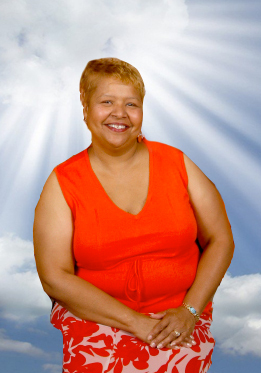 This afternoon at 2:00 p.m. were the services for Sis. Carol Elizabeth Davis. Now, Miss Mabel’s services were greatly attended but Carol’s services were PACKED, standing room only. 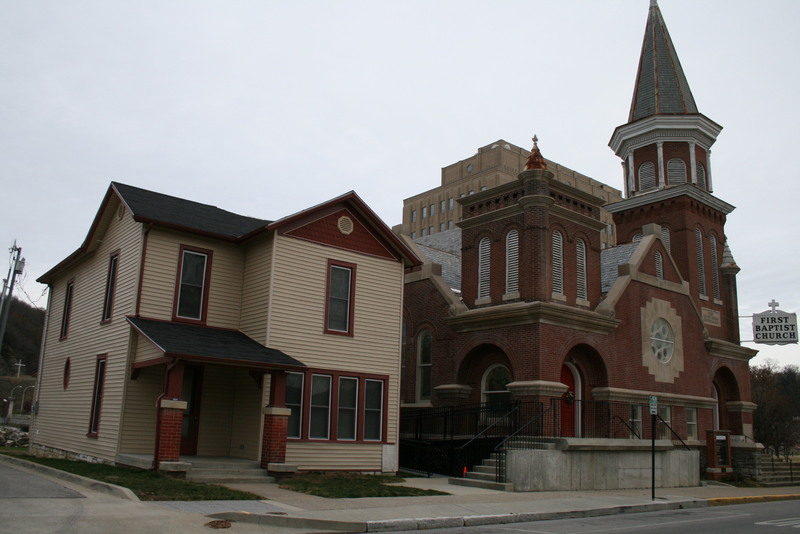 Carol was not a native of Frankfort but when she moved here she became a fixture in the city. She was a social butterfly and the life of the party. She was down to earth, she would tell you what she thought and never offered any mean-spirited advice. She was motherly way beyond her 58 years and she raised two daughters and assisted in the raising of her two grandsons and the Lord allowed her to see the birth of her great-granddaughter and her daughter, Carla is expecting a daughter as well. Carol was a singer for many, many years in the Gospel Choir and when I formed the Magnificent Mass Choir, Carol was at the first rehearsal and was a dependable choir member. She served as a Trustee and she was active – questioning, suggesting, and she only sought out the best for the First Baptist Church family. She had been seriously ill for the past three years with cancer, but Carol didn’t let that stop her from being Carol. She always knew what was going on and she prayed for her church and pastor. I met Carol initially as she was a member of the Pulpit Committee. I loved her spirit immediately and she had a sense of humor that was refreshing. Like Miss Mabel, Carol was supportive financially and she was the first person who embraced Jessica when we arrived here. Carol was our neighbor, two houses down. The crowd in attendance spoke volumes for the networking Carol had done and she was truly, truly loved by her husband and I went out of my way to commend him and his family on how they took care of Carol in her latter years. For her service . . . let me digress, the Magnificent Mass Choir was . . . MAGNIFICENT in both services. Sis. Sharon Espy was requested to sing James Cleveland’s “God Is” in both services – I don’t know how she did it, but both times were just as fresh as the first. During Carol’s service, the MMC sang the entire Visitation period for one solid hour. For this service, I preached “The Gospel According to Carol Davis” (Psalm 118:1). I opened up by saying that when you attend a homegoing or funeral, you get to learn some things about the deceased that you didn’t know. I didn’t know she played softball and I didn’t know that she had over 100 pairs of shoes (information that her daughter shared with us). But Carol was not one dimensional, she meant different things to different people in her life. The text outlines her life: (a) She was a thankful woman; (b) She understood that God is good; (c) She could tell you that His mercy endureth forever. It was a celebration as well as we rejoiced knowing that our praise and worship down here is just a rehearsal for never-ending praise and worship in Glory. Carol was interred at Sunset Memorial Gardens in their mausoleum. I lost it for a moment at Sunset. I love the people of First Baptist Church very, very deeply. The longer I remain at First Baptist, my love gets deeper and deeper and today I said “see you in the morning” to two stalwart and supportive members. There will never be another Miss Mabel. There will never be another Carol Davis. Absent from the body . . . present with the Lord. I need to say one more thing. First Baptist Church Frankfort pulled together and ministered to these families and each other in epic proportion. They really did it today! The Ushers were on point. The Choir was on point. Deacons were on point. Ministers were on point. Members were on point. The Mission/Golden Girls were on point. Kitchen staff on point. Church Secretary on point. I appreciate that so much because it allows me to worry about doing my job – ministering to people. Thank you FBC – I love y’all and there ain’t nothing you can do about it.